Discussion in 'iPhone and iPad Games' started by killercow, Nov 12, 2015. The Oddworld franchise is to Super Mario Bros. what Game of Thrones is to The Lord of the Rings - Rolling Stone, Cult Classics: A to Z. 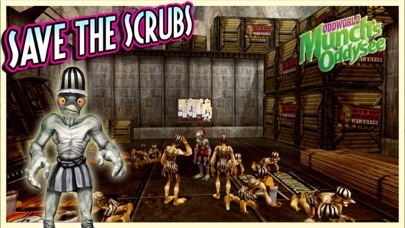 Players guide Mudokon champion Abe, and his aquatic Gabbit partner Munch, in Oddworlds third adventure, using special psychic powers, cool power-ups, and other special abilities to deliver payback as they reclaim the last gabbit eggs on Oddworld, which have been packaged in a can of gabbiar. 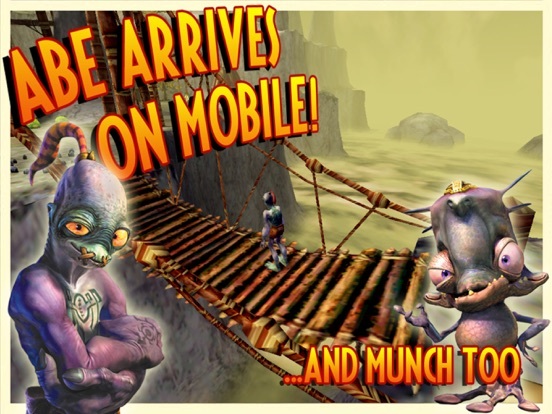 Experience the classic game Munchs Oddysee in high definition. 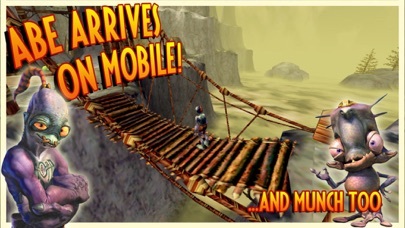 Improved graphics and sound make for an even more thrilling ride! Play as the Munch the Gabbit as he hops and swims his way to bringing his species back from extinction. *** On Sale for 85% Off *** “The Oddworld franchise is to Super Mario Bros. what Game of Thrones is to The Lord of the Rings” - Rolling Stone, Cult Classics: A to Z. 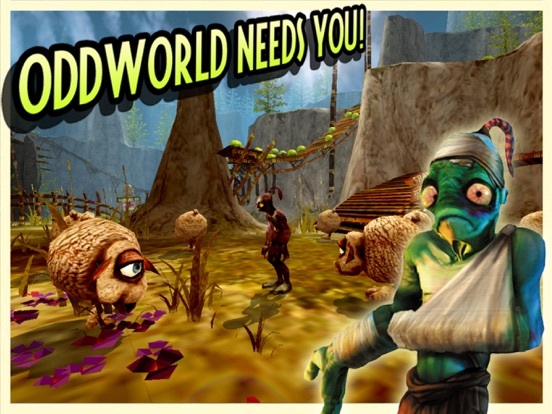 Players guide Mudokon champion Abe, and his aquatic Gabbit partner Munch, in Oddworld’s third adventure, using special psychic powers, cool power-ups, and other special abilities to deliver payback as they reclaim the last gabbit eggs on Oddworld, which have been packaged in a can of gabbiar. First time on Mobile! 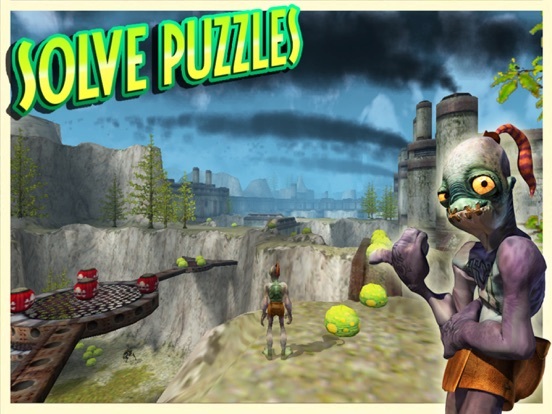 Experience the classic game Munch’s Oddysee in high definition. Improved graphics and sound make for an even more thrilling ride! 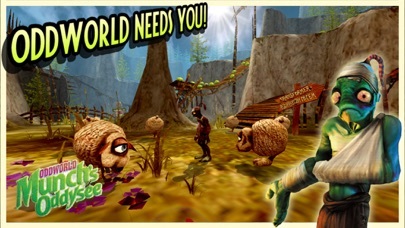 Play as the Munch the Gabbit as he hops and swims his way to bringing his species back from extinction. Abe is back! 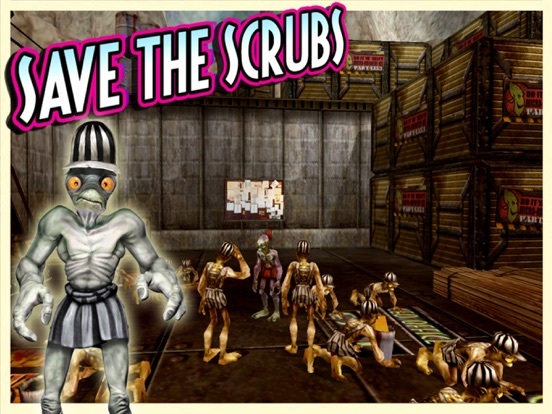 Using special powers, cool power-ups, and other special abilities to deliver payback to the Vykkers, Abe and Munch reclaim the last gabbit eggs on Oddworld, which have been packaged in a can of gabbiar. May Odd help you! 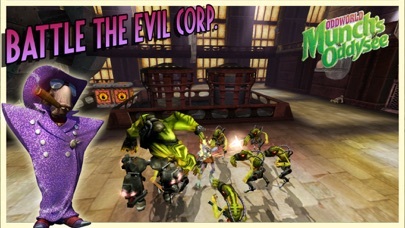 Plus: * Intuitive touch controls make playing & navigating a breeze * MFi controller support (with analog sticks) * A hilarious script and compelling storyline with multiple endings * Loads of depth, humour and charm * Achievements & Cloud Save * Includes everyone's favourite Gamespeak screen for both Abe & Munch! Gah! Was seconds away from starting this thread. 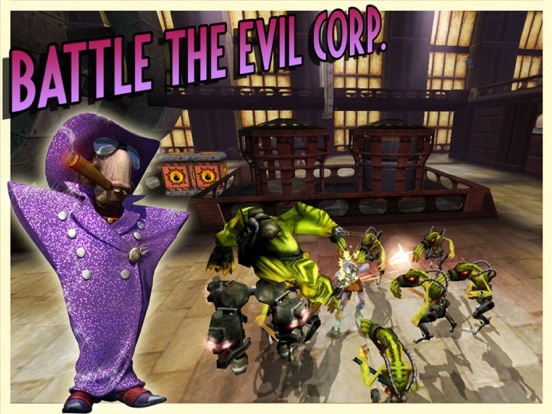 I just happened to be looking on the Oddworld Inhabitants page when I saw this on there and almost choked. 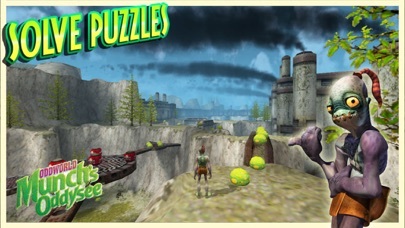 There aren't many good 3D platformers on IOS so this fills in a big gaping void. I wish I could live in the Oddworld, even if it means I end up a slave in a meat factory and my children get used as ammo. Get this now! Man, I love parting with money this easily. DOWNLOADING BABY! Played it on a friends Xbox back in the day. I think it's time to enter Oddworld again. the game crashed on my 6s plus 9.1 after about 20minutes and no, there is no automatic save point so i have to restart again. at this point i dont think i will play any further due to the crashing problem since i dont want to restart the game every 20-30 minutes. ill wait for an update for now. i didnt test the game on my other idevice but it doesnt matter since i want to played it on its best performance which is on the A9 device. another issue is, i keep found my mfi controller to be disconnected by itself and that makes me have to closed to game and go to setting to reactivate the mfi. its kinda annoying, but since i love oddworld and im in love with strangers wrath then i think ill give it another shot after the update. Oh my god... This week is endless for my wallet.... Cannot resist of course. Downloading now! Very surprised this wasn't featured by Apple..
674 MB on my iPad. waiting on comments looks good in trailer. I'm so torn between this and Wagons and Wizards. I'm short on cash and space and there a TON of games coming out next week not to mention from now till the end of the year! As much as I wanna jump I'm gonna wait for a few impressions. I never played the original but I loved Stranger's Wrath on console and iPad. Got mixed feelings about this. Imo the graphics and especially the sound didn't age too well, for a nostalgia game like this that is not really a big problem for me. The gameplay is still fun and solid. But I'm having issues with the control and the camera. The touch controls are a pain and they camera is slow and clunky. But the game has mfi support. Thanks. I was wondering about the controls. Watching your vid I'm thinking I may have actually had this on Xbox way back when. I'm still trying to decide which to buy lol.